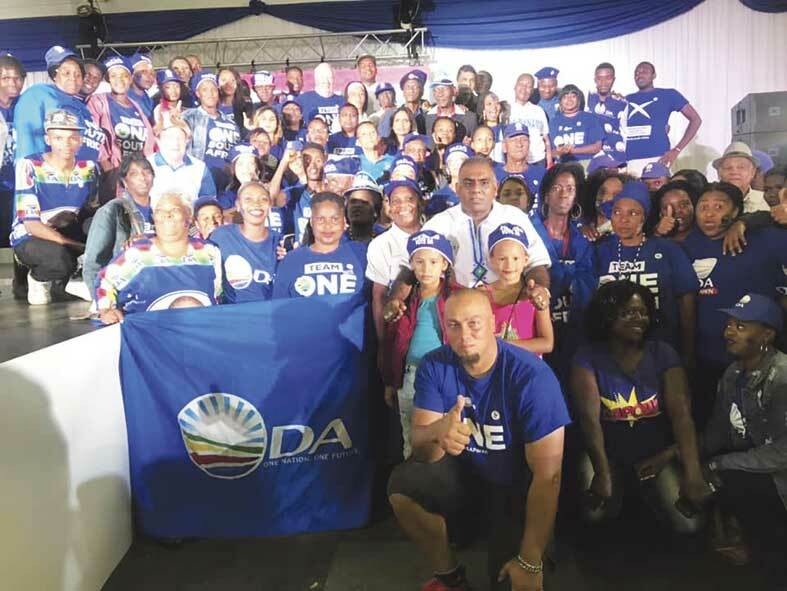 The Democratic Alliance (DA) in KZN launched its provincial manifesto at the Royal Showgrounds in Pietermaritzburg on Sunday, 3 March. 5000 DA supporters from across the province attended the event and heard the party’s plans for KZN. The manifesto focuses on job creation and the economy with a strong focus on red-tape which will make labour laws less restrictive and incentivise investment into the province. KZN Premier Candidate Zwakele Mncwango said that the aim of a DA led government in KZN is to put the people of the province first. Mncwango said that for far too long the people of KZN had taken the backseat while looting and maladministration had infested every municipality in the province. He said that the DA would work closely with the Zulu King to create a sustainable monarchy that did not only rely on money from the state but was able to play an active role in governance in the province and the promotion of the province’s culture and heritage. The event was attended by DA leader Mmusi Maimane who told supports that, “The DA is not a party for Indian people, White people, Black people or Coloured people. “The DA is a party for all South Africans who have a vision of building one South Africa for all.” Maimane went further and warned voters against political parties who mobilise support based on race saying that is what the apartheid government did and that is what some parties are doing today. Maimane said that a DA government would focus on growing small and medium businesses because this was the key to creating jobs. “The DA would do this by making it easier for small businesses to operate (cutting red-tape), scrapping BBBEE which has only benefited a few and replacing it with a merit based system, create tax breaks for certain size businesses, cutting restrictive labour laws, holding unions to account and introduce special visas for those investing in the country or coming with scarce skills,”Maimane said. Both Mncwango and Maimane reiterated the DAs record of good governance in places where the DA is in office. Mentioning that more than 80% of all Western Cape departments received clean audits, more than 500 000 jobs had been created in the Western Cape, more than 70% of land reform projects were successful compared to 10% for national government and that unemployment was the lowest in the DA run Western Cape. The DA’s key priorities for KZN are to: Cut corruption and introduce a 15-year minimum sentence for corrupt officials and politicians, secure the borders and make it harder for criminals, drugs, human trafficking and guns to enter and exit the country, focus on job creation, growing the economy and putting a job in every home, fixing and professionalizing the police services so that communities can be safe, ensuring that municipalities deliver on basic services such as water, sanitation, electricity, roads and housing and overhauling KZN’s failing healthcare system which has seen more than 500 cancer patients die due to lack of treatment.